In a world of juggling work, errands, and personal hobbies, even the slightest inconvenience can seem larger than life. When you’re already pressed for time, the little things that are bound to come up in your day-to-day can be stressful. Rather than getting exasperated over things you can’t control, plan ahead and auto-schedule some of the things 7 Daily Tasks You Didn't Know You Could Automate in a Few Minutes 7 Daily Tasks You Didn't Know You Could Automate in a Few Minutes There are many things you can automate now that will save you time and allow you to focus on other things. We give you seven things you can automate right now with the right tools. Read More you can control. Here are five auto-scheduling apps and tools you can use to make a little more room in your day. 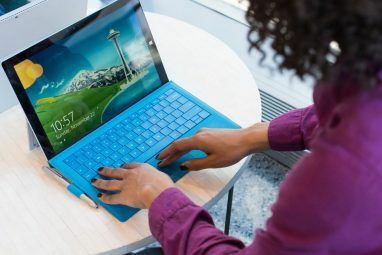 Between work emails and personal emails, you’re undoubtedly sick of the mundane task of composing an email 6 Free Microsoft Outlook Add-Ins for Better Emails 6 Free Microsoft Outlook Add-Ins for Better Emails Add-ins can add functionality that Outlook is missing by default. We show you six free add-ins to increase productivity and fun within Outlook. Read More . It probably comes to you naturally at this point, and you often find yourself wishing you had an assistant to delegate the task off to. 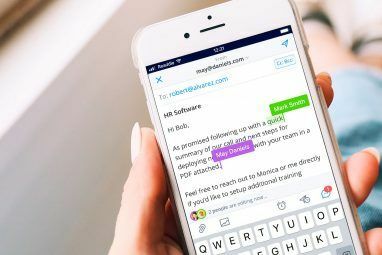 Unfortunately, if you’re like most of us, you can’t afford a personal assistant and are stuck writing emails for most of your morning — well, not anymore. So many automated email tools are out there just waiting for you to discover. Right Inbox and Boomerang are two of the most commonly used resources for scheduling future and recurring emails. Both tools allow you to write any number of emails and set them for a future date and time to send. You’ll also have the option to set an email to send on a regular basis, whether that’s daily, weekly, monthly, or annually. Right Inbox and Boomerang both offer free versions of their service, or you can upgrade to a plan that you have to pay for. Right Inbox has three pricing options and Boomerang offers four plan choices. It can get tiring constantly updating your friends and family on when you’re available and when you’ll be in a meeting. Luckily, there are apps that do all the talking for you so a call from mom will never interrupt a big presentation again. Status is one tool that can help you communicate with the people closest to you without you having to say a word. The app will automatically set statuses when you’re driving, at work, in a meeting, sleeping, and even when your phone is on low battery. 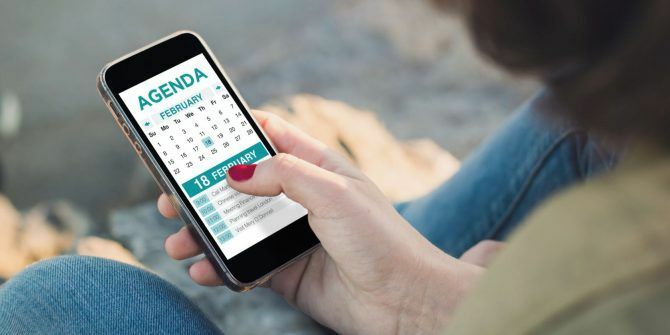 It makes coordinating schedules simple The 9 Best Google Calendar Alternatives for Time Management The 9 Best Google Calendar Alternatives for Time Management When you are busy and need to manage your time better, one of these calendars might be the answer for you. Read More . The best part is that it works in the background, so there’s no extra effort required on your part. Plus, it’s free. Availability: iOS, Android, and Web. We can’t forget about managing your finances. Depending on how you are with numbers, this task can take hours out of your week. When you’re on top of your money situation, you’re normally less stressed and a lot happier. By using a tool like Mint, you won’t have to do anything to achieve that great feeling. Mint lets you effortlessly create budgets The Best Budgeting Apps for 7 Personality Types The Best Budgeting Apps for 7 Personality Types Which budgeting app is best? It largely depends on your personality and how you like to manage your finances. Check out these 7 apps and see which is a match for you. Read More , track and pay bills, and manage your credit store. They’ll give you suggestions based on your spending habits and alert you when certain bills and payments are due. If you want, you can set up Mint to automatically make those payments, too. Your Mint account will be personalized based on your preferences. The tool comes from the makers of TurboTax, so you can trust that your sensitive information is safe and secure. The only version of Mint is completely free, so you’re getting all the best features without breaking the bank. It’s easy to get caught up in your own life and forget that there are millions of other issues going on outside of your little bubble. 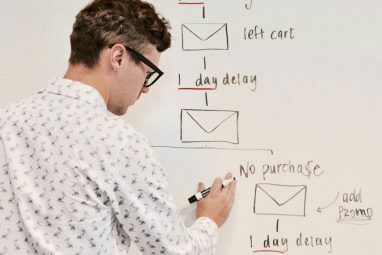 Rather than spending time watching TV or sorting through articles online to find the ones that matter, signing up for an email newsletter that includes the morning’s biggest headlines is a smart way to automate the process. Need2Know and theSkimm are two free services that do exactly that. The newsletters are delivered to your inbox How to Read a Little and Learn a Lot From Your Email Inbox How to Read a Little and Learn a Lot From Your Email Inbox There are many excellent newsletters to choose from. But which are the ones that will make a difference to your inbox? Try your learning habit on these 20 picks we have compiled for you. Read More each morning and contain short, scannable headlines, so you’ll know what’s going on without having to dig around for it. Both services also typically include links to full stories in each of their summaries, so if you’re interested in a specific story, you can click to learn more. Both services are free and don’t require you to download anything — just go to their websites and sign up. However, theSkimm does have an app available for iOS users if you’d prefer to skim your news there rather than your inbox. When you travel a lot, your itineraries can often start to blend together and create a lot of confusion. Don’t let this go on any longer when you could be managing this information automatically with the help of an app. Two of the most popular apps for travel management are TripIt and TripCase. Both tools follow the same general procedure for keeping your itineraries organized. After signing up for their services, simply forward the confirmation emails for your trip to either plans@tripit.com or trips@tripcase.com. You’ll quickly receive your “master itinerary,” which will include all of your flight and hotel information. TripIt — The free app lets you organize travel plans in one place. You can add or edit plans manually, sync travel plans with your calendar, share travel plans with those you want, and keep your travel documents in one place. You can even access your information on your smartphone/tablet with the free app. TripIt Pro — In addition to the free version’s features, you can find out when a better seat is available, get real-time flight alerts, locate alternate flights, get fare refund notifications, share plans with your inner circle automatically, save money with VIP travel benefits, and track reward-program points in one spot. And if flying gives you anxiety, you can also use apps to calm that Overcome Your Lifelong Fear of Flying with These 5 Apps Overcome Your Lifelong Fear of Flying with These 5 Apps There's no need to stress yourself out and limit the amount of enjoyment you get out of taking a trip. With the right tool you could leave your fear of flying at home. Read More , too. What Part of Your Day Needs to Be Auto-Scheduled? There’s no reason to waste time on repetitive items if you can find an app to auto-schedule it for you. What do you wish you could auto-schedule out of your day? Tell us in the comments below. Explore more about: Email Tips, Money Management, Stress Management, Time Management, Travel. One of the great ways to auto-schedule your day is to use an AI powered tool like SkedPal, Focuster, TimeTo, Sheldonize or SELFPLANNER. They all share a common function: to optimize the placement of flexible tasks within your calendar so that you have no need for a traditional To Do List. Instead, these apps serve double duty - tracking all your tasks and making sure that they are scheduled to be done in a timely, realistic manner. For most people, they replace the mental gymnastics and double-guessing people do when they try to construct a mental plan for the day, and are forced to adjust it when things change. Following the next task suggested leaves your mind free to get to work. I founded ScheduleU.org - the school for scheduling everything - to help anyone adopt these powerful new tools.